The collection was created with the prime task not only to illustrate and represent artistically all the prominent individuals and historical events of Serbian history, but also to present the activities of all segments of Serbian society (social trends, political and economic developments, developments of science and culture); with the slight inclination, however, to follow the development of Serbian art, as an art museum would. The basis of the Visual Art Collection consisted of the few works of art exhibited at the Museum of the First Serbian Uprising: several paintings, reliefs and sculptures. The Collection has been continuously enlarged by donations and purchases, and today has over 3500 works of art. It comprises several sub-collections: paintings of the 19th and 20th centuries, sculptures, graphics and drawings. The collection of paintings includes works of art executed in different techniques: watercolour, gouache, oil, acrylic and mixed media. Chronologically, the works were created in the period from the late 19th to the late 20th centuries, and they reflect almost the entirety of each and every trend in the art of the said period. 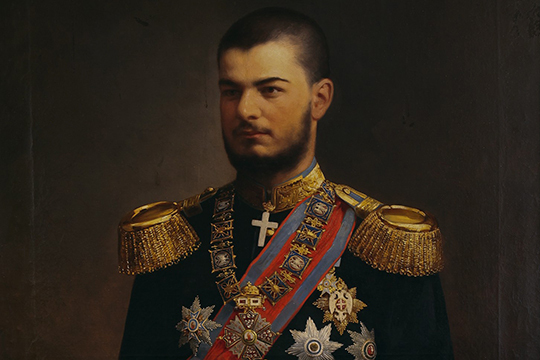 The collection includes the works of both domestic and foreign artists who lived and worked on Serbian territory and portrayed the members of the Serbian ruling houses and other prominent individuals, as well as painting general historical compositions. Although the nature and complex character of the Museum insist on the figure in this field of artistic expression, abstract and symbolic painting has not been neglected. 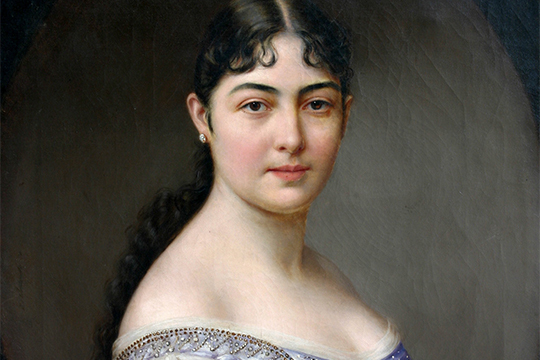 Thematically, historical portraits and historical compositions dominate the art collection. Some of these portraits were painted from life, while others were made from photographs, literature and other written records; some of them represent the author’s perception, often inspired by the importance of a particular individual, and the artist’s sense of respect. Portraits worthy of mention include those of national leaders from the Serbian Uprisings, members of ruling dynasties, prominent politicians, statesmen, military commanders and national workers. Historical compositions may also have a documentary value (if they are painted by participants in or contemporaries of certain events), but most often they have pronounced illustrative qualities, intensified by the artistic value of the work. Among other themes represented in the Collection, those dealing with different aspects of everyday life, as well as social and religious topics, should be also mentioned. In 2006, the Collection was enriched with the works of artists gathered around the Mediala group, who influenced the development and establishment of other artistic groups, but who also, as individuals, made their own artistic careers and personal styles. The collection of sculptures consists of approximately five hundred works of over thirty famous domestic and foreign artists, as well as of those who have not yet been identified. In addition to the work of Djordje Jovanović, Petar Ubavkić and Toma Rosandić as the founders of Serbian sculpture, the collection includes works by representatives of all the styles through which Serbian sculpture built its identity and sought its place in the Serbian environment. Stylistically, the development of Serbian sculpture from the late 19th to the late 20th century can be traced through the Collection, while chronologically it covers the period from 1880 to 2010. Typologically, it includes plaques, reliefs, busts, posthumous masks, figures and compositions, and made of different types of materials (plaster of Paris, terracotta, clay, majolica, porcelain, wood, granite, bronze). Although late in its development when compared to painting and other branches of art, Serbian sculpture strove from the moment it emerged into the Serbian environment to make up for its delay at once, and to adjust to an environment within which sculpture had not only quality but also continuity. In a similar way, the Historical Museum, as one of the youngest among Belgrade’s museums, did its best to fill a gap and collect the most various types of sculptures, in accordance with the Museum’s concept. This part of the collection includes about 500 prints (single sheets as well as folders and albums), made in almost all graphic techniques, varying from woodcuts, linocuts, engravings, etchings and dry point, to the combined techniques used by contemporary artists. Thematically, in addition to portraits of prominent figures and historical compositions, there are also graphics depicting battles, views of cities and landscapes, and compositions of the everyday life of the population, as well as topics indicating the social and political engagement of artists. Among the oldest graphics in the collection are prints made from original woodcut plates dating from the 16th to the 19th centuries – works of Priest Nikola Popović, Priest Stefan Likić, as well as of Haji Ruvim Nešković, the monk and artist. 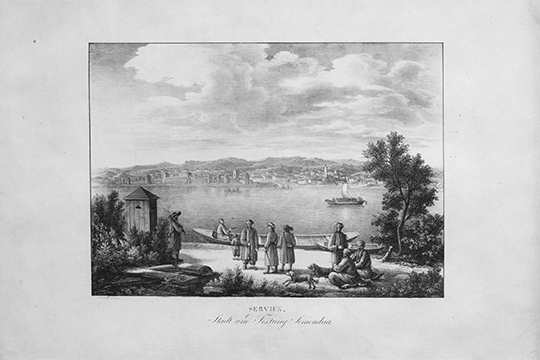 Graphic activity on the territory of the Karlovac Metropolitanate in the early 18th century is represented by the works of Georgy and Hristhor Žefarović, Zaharije Orfelin and Toma Mesmer. 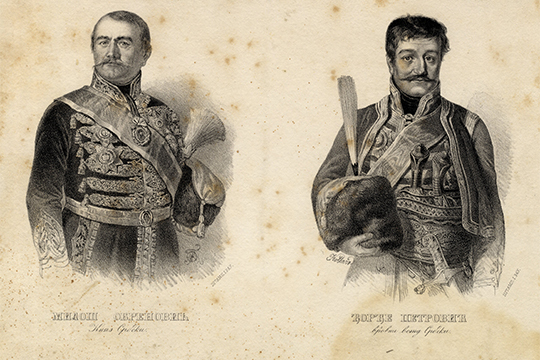 Of local authors of the first half of the 19th century, the most represented in the collection is Anastas Jovanović, with large number of works from his series of lithographs made for the publication Serbian monuments. The collection also includes the works of foreign artists, such as Kuno von Quitzow, Vladislav Titelbah, Carl Goebel and Vinzenz Katzler. The collection of drawings includes drawings done in pencil, coloured pencil, pen, marker, chalk, ink, and watercolour. Thematically, it includes portraits, views of cities, landscapes, historical compositions, scenes of battles, folk costumes and rural life, architecture of towns and villages, plans and building designs, executed in the form of sketch drawings, studies, technical drawings, architectural designs and caricatures. Many authors are represented in the collection, among whom the most important are: Dragiša Milutinović, Milorad Milutinović, Vladislav Titelbah, Paja Jovanović, Ljuba Ivanović, Beta Vukanović, Božidar Jakac. Another distinctive part of the collection comprises the works made in POW and concentration camps during World War Two, under the very delicate conditions of camp repression and censorship. Almost 500 works, kept in the Museum, include portraits of POWs and scenes of everyday life in the prison camps. The works are authentic, with the mark of the camp censorship, which makes them first-class records, and of exceptional artistic value. They were made by trained artists, but also by amateurs who attended painting courses in the camps, as well as by architects and engineers. A distinctive part of the collection includes about 150 caricatures dealing with political life in Serbia.